Timing is an important factor in your marketing efforts, and can be almost as important as the message itself. Do you know that when you send your marketing messages is almost as important as the message itself? While there is a bunch of conventional wisdom floating around about when you send marketing emails, post blogs or be active on social media channels, a few online marketing gurus decided to actually scientifically test when the best time to send marketing messages was. The results may make you re-think when you send out your marketing messages. Over a three-blog series, Kiss Metrics – armed with information from HubSpot and social media scientist Dan Zarrella – used quantitative data to explain when your marketing messages are most powerful. In this blog post, we’ll just quickly summarize their most important findings and give you links back to the original data. If you’re involved in vacation rental marketing in any form, this information should be extremely valuable to you. 80% of the US population resides in the Eastern or Central time zone, so make sure you gear your messages to those time zones. For Twitter, midweek and on the weekend, at noon or 6 p.m. are the most optimal posting times. For Facebook, Saturdays and at noon are the times you’re most likely to get your posts shared. 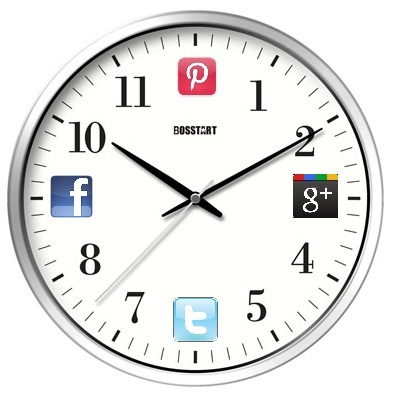 The best posting frequency for tweets is 1-4 an hour, and the best frequency for Facebook posts is once every 2 days. Check out the original blog for more information. For consumer promotions, 7 p.m. to 10 p.m. seemed to perform best (5 p.m. to 7 p.m. was best for B2B promotions). Email open rates were the highest on the weekend. Blog posts get the most traffic during the morning hours, with 11 a.m. being the highest traffic time. Blog posts get read more on Mondays than any other day of the week. How do these statistics compare with your own marketing statistics, specific to vacation rentals? For example, what days and times do you get the best response from your marketing efforts? Let us know by sharing your experience in the comments section below.